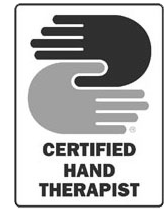 A certified hand therapist (CHT) holds a nationally recognized certification of the hand, wrist, elbow and shoulder. To qualify for the exam, one must have at least five years experience in upper extremity therapy with 4,000 hours or more in direct patient practice. A CHT has successfully passed their national examination.